Sept 5th, 2009 - Arugam Bay to Tissamaharama. 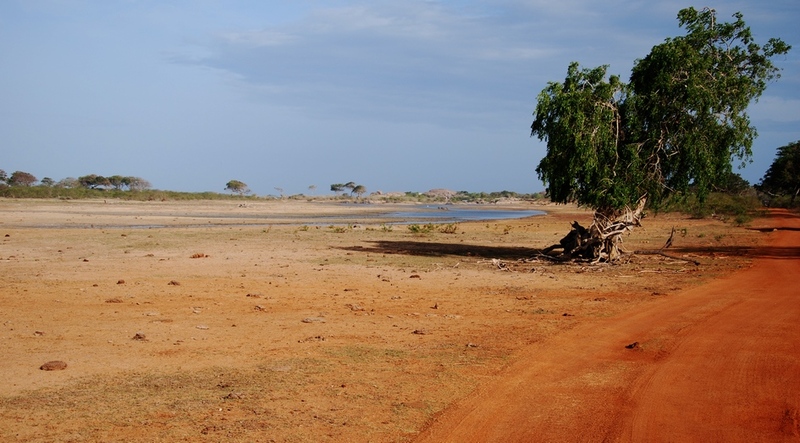 The road from Buttala to Tissa is a nice pleasant Sri Lankan country road sprinkled with army foxholes every hundred meters (I would love to take photos but I wish to avoid the business end of an AK-47). If I you throw a rock in the region you'll probably wound a soldier. 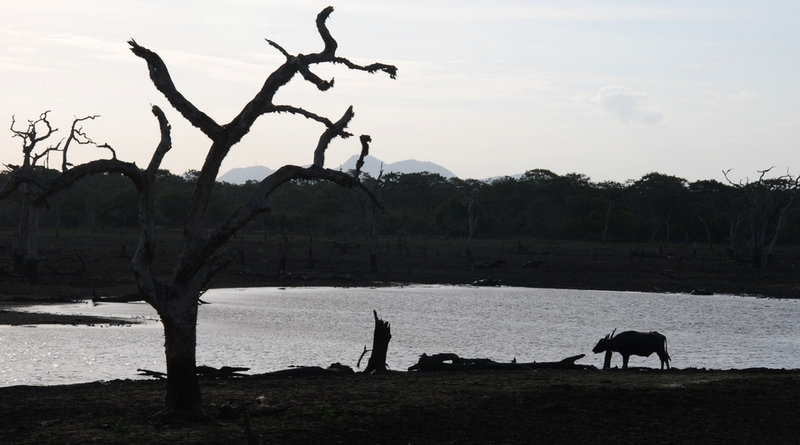 The road runs along Yala National Park and in the past there were problems with insurgents in the area. 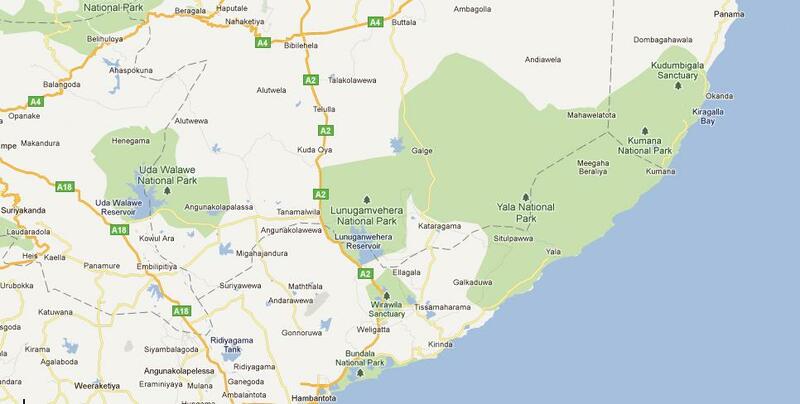 In fact, at one point the LTTE moved into the national park and peppered the road with explosives. All I know is I felt a little like I was driving along the front line. You can tell the trees and brush have been cleared on both sides of the road in order to improve visibility. The park is open for viewing but security checkpoints still decorate the landscape. 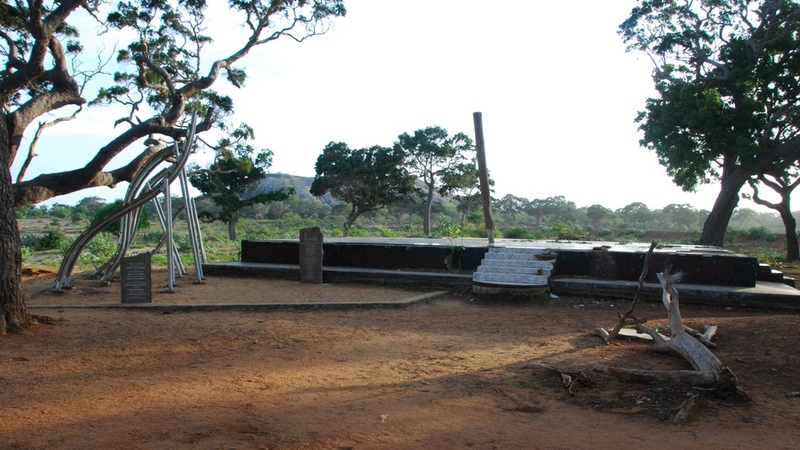 Yala was the reason for my visit to this particular area. 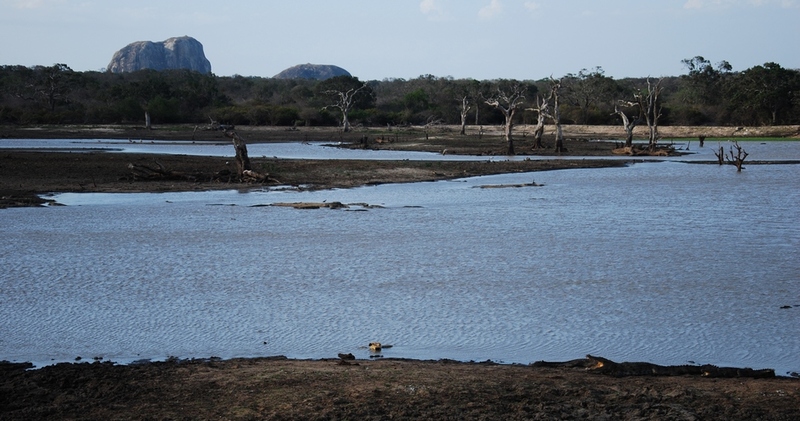 Yala National Park is 979 square kilometers of scrub, light forest, grassy plains, and brackish lagoons. 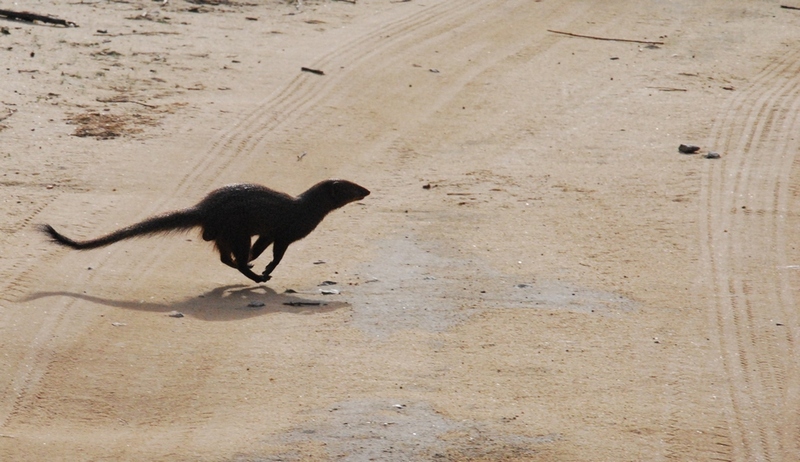 Elephants, leopards, crocodiles, wild boars, honey bears, monkeys, mongoose, peacocks and many other types of birds populate the park. Like the book says its not Kenya but it is worth the trip. 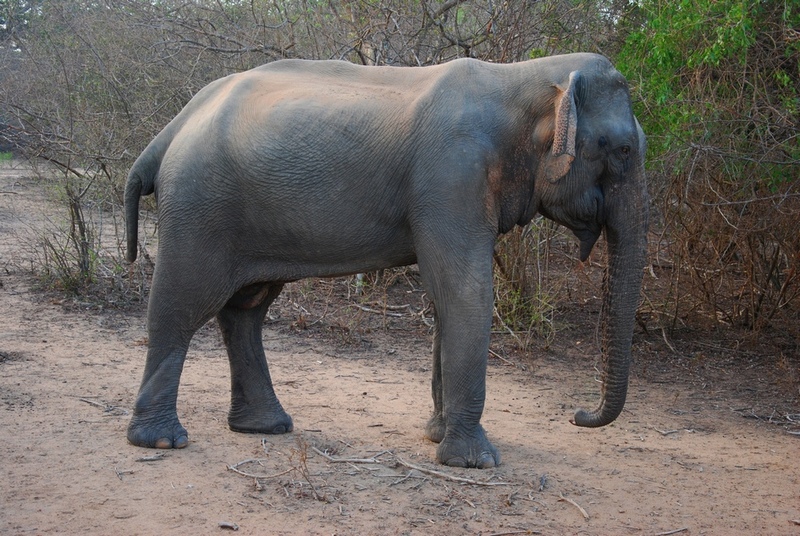 As always entering a Sri Lankan National Park is not cheap but who wants to hear me ramble on about that …..again. I procured a jeep and a driver and headed off to the park in the afternoon. I did not have high expectations but the park turned out to be quite beautiful. There has not been much rain of late so the conditions are dry and dusty. This, however, can be an advantage as many of the animals converge around the watering holes. We saw elephants, crocodiles, a mongoose, a few wild boar, a poopload of peacocks, a number of deer but, disappointingly, no leopard. Lately my track record with big cats is dismal. Two spotted deer cautiously made their way to a pond to refresh themselves. 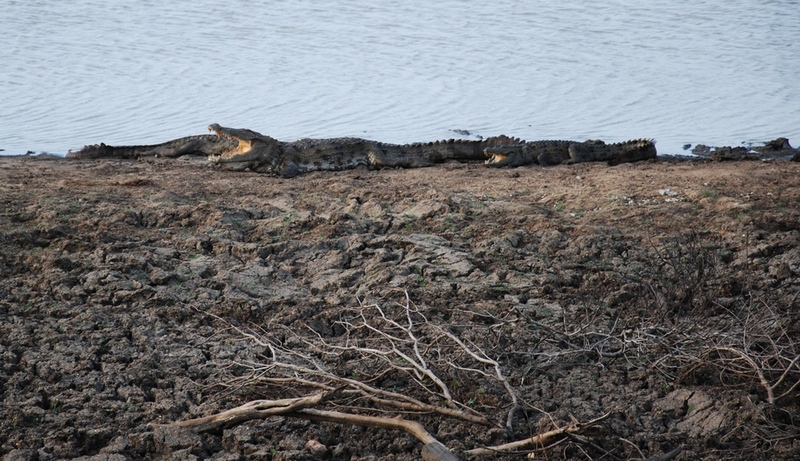 You could tell just by looking at them they were on edge due to the large number of crocodiles nearby. When they approached the water for a drink they stopped just short and sipped out of small pockets of water near the edge. Their hesitation was well justified as a hungry croc was slowly making its way in their direction. 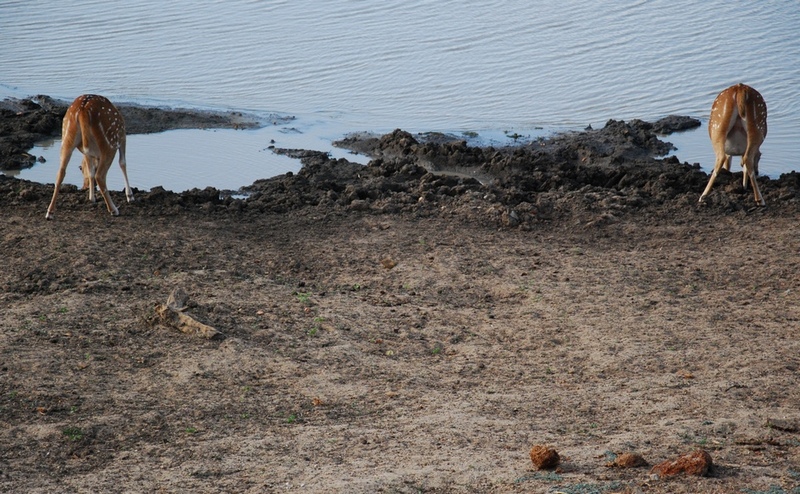 Luckily for them they moved on before the croc was in striking distance. Besides animals the park offers some rather striking scenery on its own, especially where it meets the ocean. The swift breeze conspired with the setting sun and the golden beach make that spot one of my favorite places in Sri Lanka. It would have been nice to have the place to myself and an opportunity to linger a bit longer but it is hard to complain when presented with such grandeur.